The meeting was called to take stock of steps being taken to curb the spread of divisive and communal forces. 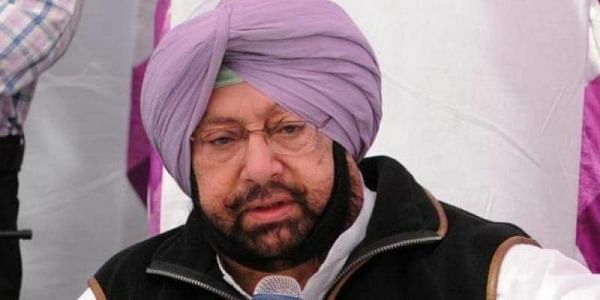 CHANDIGARH: There is a clear bid to revive terrorism in Punjab, senior police and intelligence officials told Chief Minister Amarinder Singh who today reviewed the law and order situation in the state, according to an official statement. The officials also told Singh that in several cases handlers of those carrying out terror activities were found to be operating from abroad. "There is a clear bid to revive terrorism in the state, which could be traced to foreign handlers not just in Pakistan but also in other countries such as Canada, Germany, UAE, Belgium, South Africa, Portugal and Saudi Arabia," the chief minister was informed at the meeting according to the official release. Punjab DGP Suresh Arora told the chief minister that since March this year, seven terror modules had been busted and 43 terrorists, radical operatives arrested by the state police. The police has identified 16 foreign handlers affiliated to various militant outfits so far, and as many as 38 weapons, including those pushed into India by Pakistan's ISI, have been seized, he said, according to the release. The chief minister gave the security forces a free hand to tackle any threat to the state's peace and harmony, it said. The chief minister issued strict directions to the state police and intelligence agencies to go all out to counter the increasing misuse of social media to spread hate campaigns. He also ordered stern steps to break the nexus between terrorists and gangsters, as well as between gangsters and jail staff, to prevent use of prisons by gangsters to carry out their nefarious operations, the statement said. Taking serious note of reports about gangsters operating from prisons, as evident from the recovery of mobile phones and sim cards from jails, the chief minister ordered strict monitoring and directed the home department to take immediate steps to fill vacancies. There was need to instill in these gangsters, a fear of the law, to ensure that the state's peace and harmony is maintained at all costs, he said. Punjab ministers Manpreet Badal, Navjot Sidhu and Tripat Bajwa were also present at the meeting. Expressing concern over the recent killing of a Hindu outfit leader in Amritsar, the chief minister ordered the police to expedite the investigations in the case, which the security agencies said was not linked to the spate of the recent targeted killings in the state. The police officials assured the chief minister that the culprits, who had already been identified, would be caught soon, the statement said. The chief minister also instructed the security agencies to adopt overt and covert measures to effectively counter the online hate campaign by Pakistan's ISI and the communal tirade being launched by a section of hardliners belonging to different communities. According to the release the officials told Amarinder Singh that most of the gangsters, who had a free run under the previous regime, had either fled or were behind bars. Investigations showed that some of them were trying to disrupt the law and order either from outside Punjab's borders or from behind the bars, top police officials told the chief minister. The chief minister said that while the law and order situation in Punjab had seen a marked improvement in the past eight months, there was need to tighten the belt further to ensure that people in the state live in an atmosphere of peace, with fear of any kind.